Purchase order software is mostly used in network system for purchase orders and manage the processes involves in retail purchasing order activities by reducing the paper work. It is time saving and effective software. 7. Maintain proper account history and searching functions are also added. 9. Management of completed, deleted and cancelled order records. CustomSoft having expertise in Custom Healthcare system, review and rating system for restaurants, Custom ERP, Custom CRM, Custom EHS, Custom CMS and many more. 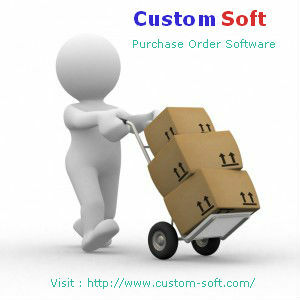 CustomSoft is well known for high quality software and on time delivery of Software Solutions.